It’s a common misconception that everybody who works in the engineering industry is an engineer, and is male. However thanks to the hard work of those in the engineering industry these perceptions are changing. Collectively we, the industry, are working to demonstrate that there are lots of opportunities available within the engineering sector, irrespective of gender; from being an engineer to working in a variety of different departments. 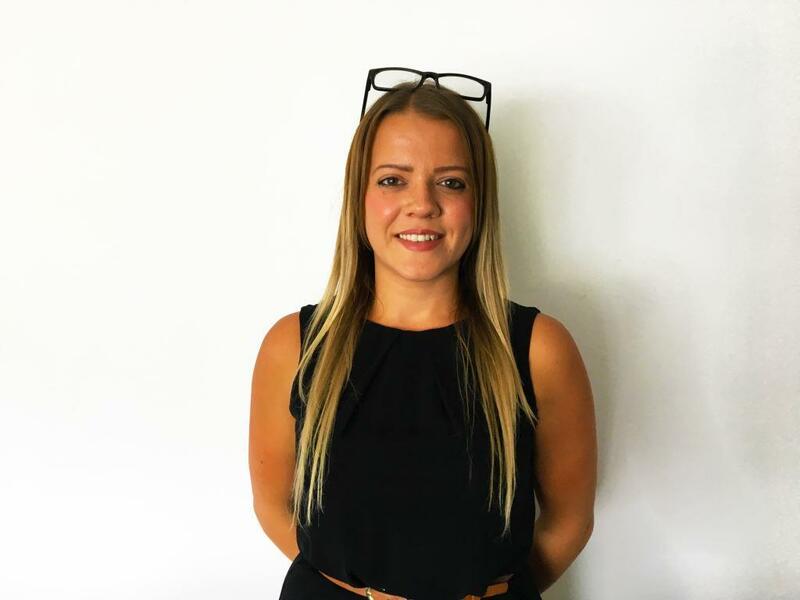 Here Kayleigh, a Business Systems Specialist, tells us about her experience as a woman working for British Engines over the last ten years and why during that time she has identified some of the most dynamic and promising leaders in the company as female. I’ve worked within the company for ten years now, and during that time I’ve worked for various businesses within the British Engines Group. During my time at CMP I completed a Level 5 Diploma in Leadership and Management, and then I decided to go on to study my BA (Hons) in Leadership and Management as it seemed like the natural progression. It can be difficult at times to work, study and be a parent all at the same time, but I manage it all by being organised to the extreme. Plus, I have a great support network around me both at home and at work. I’m now in my final year at university and I’m writing my dissertation. I’m focussing on the cultural changes that can occur as a consequence of the merger and acquisition of companies. British Engines has been great about letting me have access to interviews for my research. My project’s highlighted the different roles that are necessary to ensure the success of a global engineering company, like British Engines, and throughout my career I’ve realised the amazing and inspirational female leaders that are present within the company. Working for the different departments and teams within the British Engines Group has meant that I’ve met a variety of people, in a range of roles and departments. In ten years, I’ve never found myself thinking about the fact that I’m female in a male dominated industry. Every office that I’ve worked in has been accepting and friendly and my gender hasn’t ever been an issue. Each team I’ve been a part of has ended up feeling more like family. I’ve never felt like it’s been anything less than a supportive network. The generalisations about women in the engineering industry seem to stem more from the rest of society, rather than from within the engineering community itself. When I’ve been out on my lunch break I’ve had comments made about the fact that, even though I’m wearing a British Engines jacket, I couldn’t possibly be an engineer. Obviously I’m not, but who’s to say I couldn’t be? During my ten years here I’ve found that some of the most dynamic leaders within the business are women. They’re generally all forthcoming, strategic and transformational leaders; all thinking ahead and keen to develop other people. They consistently demonstrate how keen they are to impart their wisdom and do so through training and sharing their experiences. Many of the female leaders I have worked with in the British Engines Group are an inspiration to the workforce; they’ve inspired me certainly, to aim high and to push myself beyond my comfort zone. They show what can be achieved despite the history of industrial organisations being predominately led by males. They’ve shown me how, as a leader, it’s possible to be adaptable and patient, and to invest in peers. Recently I’ve been based at British Engines’ Head Office and I’ve worked closely with the HR department. This has helped me to gain a better understanding of their work, and has encouraged me to think about what’s next. In the future I’d like to utilise my degree and go on to work to develop leadership roles for both men and women within the business. I want to be able to help employees develop their leadership skills, and to provide them with the support needed to become great managers. Although at one point women did suffer prejudice in the engineering industry, this isn’t the case anymore. It’s now a lot easier for women to get into the industry; in fact, females are actively encouraged to consider careers in engineering. I think it’s also often forgotten that you don’t have to be an engineer to work in the industry; I’ve worked with women from across the British Engines Group who work in departments such as marketing, HR and finance. So don’t let yourself be put off by inaccurate preconceptions. As women we’re working hard to get away from stereotypes and generalisations such as ‘engineering is a man’s profession.’ So why not challenge them? Are you interested in a career with British Engines? Take a look at our current vacancies or explore our Career Zone to learn more.